U.S. lawmakers want to make sure they're collecting enough taxes on your VoIP service. Members of the House of Representatives Judiciary Committee's commercial and administrative law subcommittee on Tuesday expressed concern that some VoIP (voice over Internet Protocol) services could escape state or local taxes because of the mobility of VoIP equipment. Officials with two VoIP providers and two state organizations asked subcommittee members to clarify where VoIP service can be taxed. A clarifying law would not only protect VoIP providers from customer lawsuits, but it would also potentially protect customers from multiple states trying to tax their VoIP service, said Robert Cole, manager of tax accounting for Sprint Nextel. With traditional phone service, state and local taxes were based on where phone calls originated from, typically a customer's home or business. But VoIP allows customers to take their device and plug into the Internet at multiple locations while keeping the same phone number, raising questions about which state or local government has taxing jurisdiction. Some VoIP providers collect taxes based on the customer's address, but federal law is not clear whether that's the correct method, said witnesses at a subcommittee hearing. VoIP providers do collect multiple taxes, including state and local taxes for emergency 911 service. Cole and John Barnes, director of product management and development for Verizon Business, asked the lawmakers to include VoIP in a law governing how mobile-phone service is taxed. 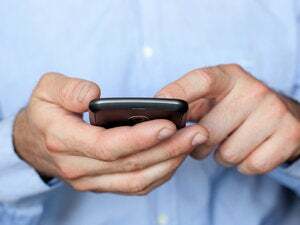 The Mobile Telecommunications Sourcing Act, passed by Congress in 2000, allows state and local telephone taxes on mobile cellular service based on the place of primary use, generally the customer's home or business address. "The technology has simply outpaced the rules that apply to taxation for telephone services," Barnes said. "A new system is needed to determine state and local taxation for VoIP services." No groups representing VoIP customers testified at the hearing, but Representative Bobby Scott, a Virginia Democrat, questioned whether the mobile taxing rules were always appropriate. A customer could give northern Virginia as his home address but do most of his calling from Washington, D.C., he said. "If I only use the phone in D.C., if all of the calls that you have a list of start off in D.C., and none of them are in Virginia ... you tax in my home address?" Scott said. "The only thing that seems to matter is the home address." Under the Mobile Telecommunications Sourcing Act, Virginia would collect taxes based on the customer's Virginia home address, even if most calls came from Washington, Cole said. "Under VoIP right now, I think you've illustrated the nature of the question," he said. "Which state does get to tax that? We don't know." Under the mobile taxing law, providers aren't required to check where the calls originate, Cole said. Despite Scott's questions about the mobile law, other lawmakers said VoIP tax law needs to be clarified. "It's my hope that we can work together to quickly resolve the issues identified today so that states, industry and, most importantly, consumers can have the clarity and certainty that they need to conduct their affairs," said Representative Trent Franks, an Arizona Republican.